How to keep water from freezing in cold weather? 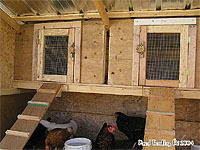 You can hang an chicken coop heating lamp over poultry fontain or buy a heated poultry waterer with cord. 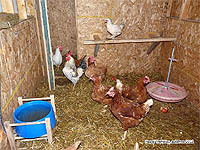 Heated bowl works excellent for watering hens too. 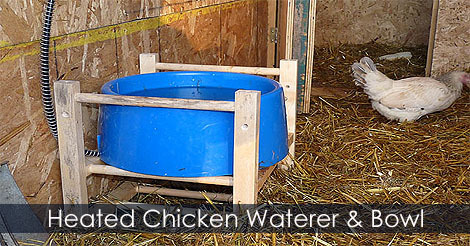 Learn how to hang a chicken coop heated waterer or a heated water bowl.